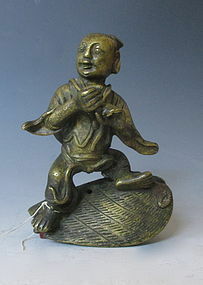 Antique chinese bronze figure of a child from the Ching dynasty, 18-19th century. The child is resting atop a cloak, barefoot. 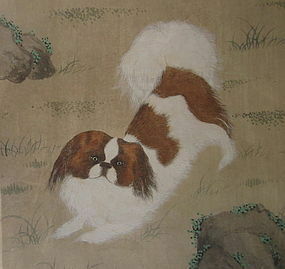 He wears a hat on his back of a traditional woven style. His hair is tied in the traditional knots, heavy. It measures 4" tall by 3" wide. Antique Chinese calligraphy brush from the 19th century. The handle is made of bone, highly polished, with an incised inscription. A fine red ribbon is the hanger. The bristles are white horse hair. It measures 9.5" long. Chinese brush made of bamboo and horse hair. The handle is carved and painted with an inscription. The brush hair is horse hair. The top of the brush has a metal fitting with a ribbon hanger. It measures 13" long, the handle is 1" diameter. 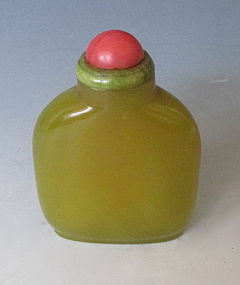 Antique Chinese yellow nephrite snuff bottle with a flat lip and oval foot rim. The interior is well hollowed out, the exterior is unadorned, 18th/19th century. It measures 2.75" tall 2"1/8" wide 3/4" deep. Antique Chinese Ming Dynasty, 1368-1644, wooden figure. 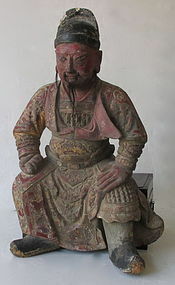 The figure is wearing a red robe with gold leaf. The robe is patterned with clouds and dragons. The face retains the facial hair. 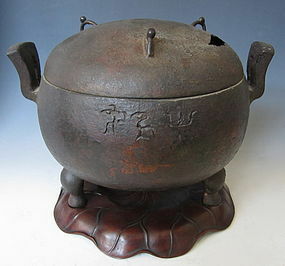 The back has a carved rectangular opening where the figure would have been fixed to a larger object. It measures 26" tall. 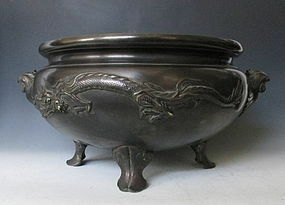 Antique Japanese bronze hibachi decorated with dragons and chickens. The chickens have their wings spread as they give the illusion they are flying out of the body. The dragons walk across the body of the vessel. There are three small feet with incised scrolling designs. It measures 9" tall, 13" wide at the mouth, 18" wide from handle to handle. 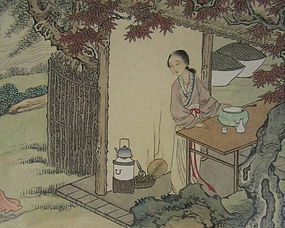 Meiji period, 1868-1912. 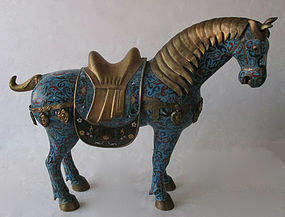 Chinese cloisonne horse decorated with archaic geometric designs often seen in Chinese bronzes from the Republic period with motifs of chrysanthemums and phoenixes. The saddle is decorated with a scrolling vine design with chrysanthemums recalling central Asian motifs. The bridle is decorated with small plum blossoms. Age: 20th century. Size: Height: 27" Width: 10" Length: 35"